A 14 inch electric chainsaw is perhaps the best size for most people. 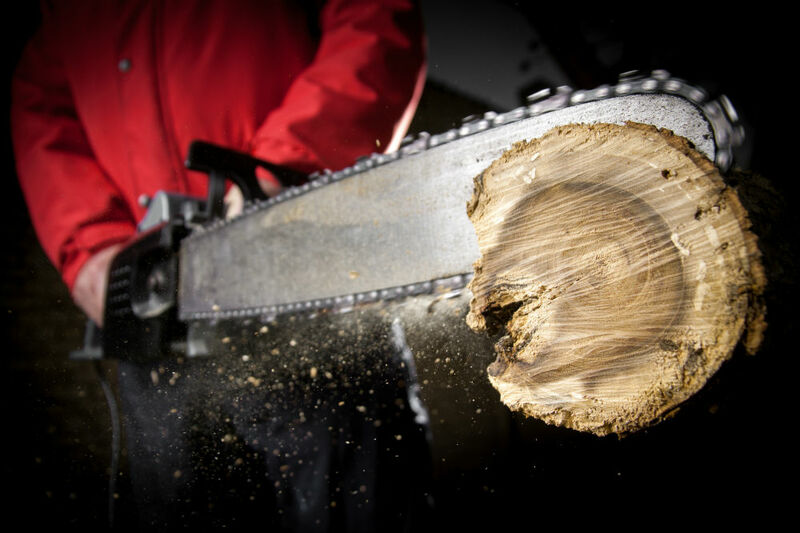 This is because larger chainsaws can be quite harder to use and also heavier. This lightweight Makita chainsaw is easy to handle and you do not even need lots of strength in order to operate it. With the simple push of a button, you can start it up and begin cutting. The Makita UC3551A Electric Chain Saw, 14″ is a versatile chainsaw that will likely suit all your light to medium cutting needs. 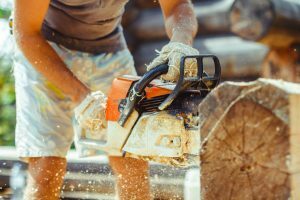 You get a very simple to use electric chainsaw due to the lightweight construction, which makes it a lot effortless to maneuver and handle in tight areas. Actually, the more precise and accurate control offered by this unit is one of its most appealing features. There is no risk of weight shifting abruptly when cutting, and the rubber grip handles also provide additional comfort and control. Starting this Makita chainsaw is very easy thanks in part to its big trigger and soft start feature. As a result, you get a smooth start where the motor speed gradually increases speed. This provides stability and makes it much easier to start up and operate. Making adjustments to the bar and chain can be done quickly without using special tools. 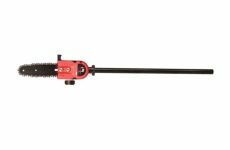 This tool-free tensioning feature means that you do not need to carry around a wrench if you want to make any necessary adjustments. As a result, performing maintenance work can be done within a few minutes so that you can get back to your cutting tasks. One of the first things you will notice once you start cutting with this Makita UC3551A Electric Chain Saw is the significant amount of power that it generates. 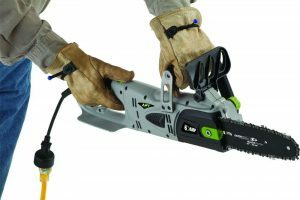 Despite its low 110 voltage rating, this electric chainsaw is quite powerful. In fact, you may even think that you are using a gas powered chainsaw of an equivalent size. 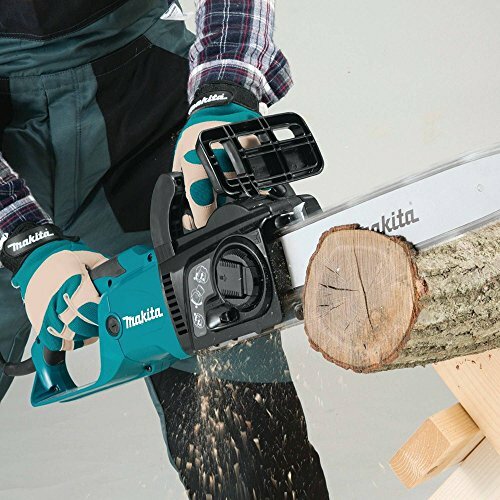 Makita has successfully managed to optimize and enhance the power generation of this electric chainsaw. The proprietary motor works efficiently and requires very little maintenance over the course of its life. This power tool is a clear representation of the many years Makita has been developing its chainsaw technology to improve cutting efficiency. A notable feature of the motor included in this particular Makita chainsaw is the inbuilt current limiter. Basically, this is an important electrical feature that protects the motor when there is too much electric current, especially under heavy load. The current limiter automatically cuts off power to the motor, which prevents damage and overheating. In terms of durability, this Makita UC3551A electric chainsaw is made of tough materials to withstand extended usage. The current limiter ensures that the motor will run for longer without requiring expensive repair and maintenance costs. 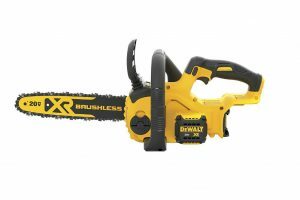 Generally, provided you only use it for light cutting jobs, this electric chainsaw should last for a long time. The Makita UC3551A Electric Chain Saw, 14″ is great for cutting pieces of wood under 14 inches in diameter. 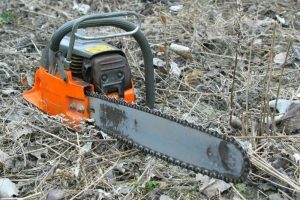 Even though it has been proven to handle even larger branches and trees, it is best to avoid cutting thick wood with this electric chainsaw. 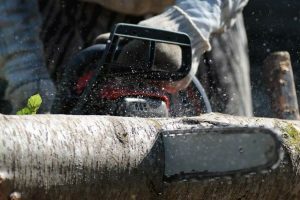 In fact, the ideal diameter that this chainsaw can comfortably handle over long cutting sessions is less than 12 inches. For those working with limited budgets and still looking for great quality electric chainsaws, then the WORX 16-Inch 14.5 Amp Electric Chainsaw is worth a look. It not only costs much less than this Makita UC3551A, but it also features a longer 16 inch bar. It also has enough power and an aggressive chain to perform effectively. 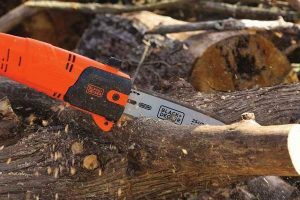 Nevertheless, thanks to the fact that there is no kick back on the tip, it is not effective for carving tight areas, unlike the Makita UC3551A chainsaw. 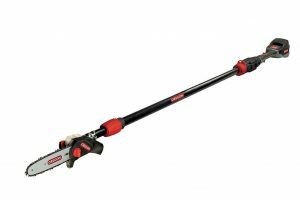 If you like the freedom that a cordless electric chainsaw offers, then the 14 inch EGO Power+ Cordless Chain Saw is a great alternative. It is an impressive saw that runs well despite getting its power from an inbuilt battery. 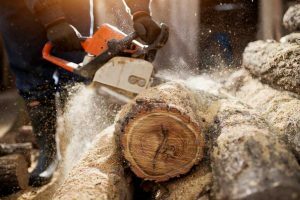 However, cordless chainsaws are usually more costly, which is why the Makita UC3551A still seems like the better option in terms of running costs. This Makita UC3551A Electric Chain Saw, 14″ has consistently received high praise from users for its smooth cutting capacity and flexibility. Many people were impressed by its effectiveness and power for handling most light duty materials. The lightweight design and comfortable handles also means that you can work for longer without any unnecessary arm fatigue. The main drawback related to the use of this electric chainsaw is the oil leakage from the automatic oiler when it is not in use. However, you can easily prevent this problem by draining the oil completely before storing it away. Other than that, this 14 inch Makita UC3551A is a highly recommended buy if you are shopping for a lightweight, powerful and efficient electric chainsaw.